Be the first to share your favorite memory, photo or story of Dollie. This memorial page is dedicated for family, friends and future generations to celebrate the life of their loved one. On Saturday, January 26, 2019, our Lord and Savior called his daughter, Dollie Mae Claiborne, home to eternal rest. Dollie Mae was born on February 1, 1928 in Dinwiddie County, Virginia to the late Kate Elizabeth and Harvey Claiborne. She was educated in the Dinwiddie County Public School System. She accepted Christ at an early age and became a member of the Bloomfield Baptist Church, Wilsons, Virginia where she served faithfully numerous years as an Usher. Recently, she moved her membership to Poplar Lawn Baptist Church. Dollie Mae was employed during her earlier years at Camp Pickett, Burkeville Veneer Factory and Heritage Hall Nursing Home, where she later retired. Although she retired, she did not stop working. She worked faithfully, diligently and compassionately at the Country Inn Restaurant & Lounge assisting her son for over 20 years. In fact, she worked hard from morning shift to closing seven days a week in all capacities. Because of the love that she had for her children, she became a devoted caretaker for her daughter and son during their declining health. She enjoyed cooking for her family and was well known for her homemade ice cream, coconut and chocolate cakes. She was affectionately and respectfully known by her children as “Dah” and her grandchildren called her “NuNu”. Dollie Mae has also made history in the Marshall Family. She has lived longer at age 90 (six days shy of her 91st Birthday) than any other known direct descendant in the family! She also was the second oldest living on the Claiborne side of the family. 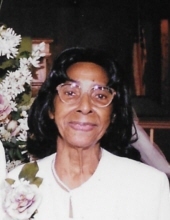 She was preceded in death by her two children who she loved dearly: her oldest daughter, Gloria Chester; and only son, Harold Claiborne; two sisters, Geraldine Greenhill and Ethel Jordan; a brother, Orphan Lee Claiborne and a grandson, Shawn Claiborne. She leaves a legacy to cherish her fondest memories: a devoted daughter, Bettie Claiborne Perry and a devoted son-in-law, Benjamin Perry; two loving granddaughters: Tandrea Jones (Vaughn) and Angel Perry; a grandson, Derrick Chavis, Jr., and a step granddaughter, Chelsea Harmon; three great-grandchildren: Christian Chavis, Aaliyah Chavis and Caleigh Mason; a loving sister, Georgia Mae Evans; a daughter-in-law, Michelle Claiborne; and a host of nieces, nephews, cousins and extended family and friends: Willie Massenburg Sr., (Her adopted son), Sabrina White and Caroleen Horn. Funeral Services Friday, February 1, 2019 at 1:00 pm at Poplar Lawn Baptist Church, Blackstone. Interment church cemetery. To plant a tree in memory of Dollie Mae Claiborne, please visit our Tribute Store. "Email Address" would like to share the life celebration of Dollie Mae Claiborne. Click on the "link" to go to share a favorite memory or leave a condolence message for the family.